*** ADMIN NOTE *** NO PICS DIDN'T HAPPEN? I call BS! - Page 18 - The BBQ BRETHREN FORUMS. *** ADMIN NOTE *** NO PICS DIDN'T HAPPEN? I call BS! For the newer guys! Please read the first post in this thread. Not everyone has the ability or desire to post pictures, so please don't make them feel bad my asking for them. That came across pretty rude. I think the Moderators have posted clearly on the matter. heres a bump for some of the new folks!!!!!!!!!!!! Sorry if I have missed something, but is there a page as to where people can go to test sending pics. without them being available on the threads or post ? Take only what you need, and give back more than you take. When you are done just met a moderator know and we can delete the thread. There is also a post in the Stickies there with detailed instructions on how to post pictures. Well, I would be glad to send some pics if I knew how to send them. I've go to admit that I'm a dumbass when it comes to techy things. So, "splain" to me how it's done. Cheers! May the thin blue smoke be for ever with you. yeah pics are always nice to see but I know how it goes. I know sometimes when i cook, by the time the food is done,m I am ready to eat! Sometimes a photo op is not part of the equation that day. If I could I would. If I don't, it's because I am to lazy! I’m an amateur by far but figured I’d give this thread a bump with a photo. 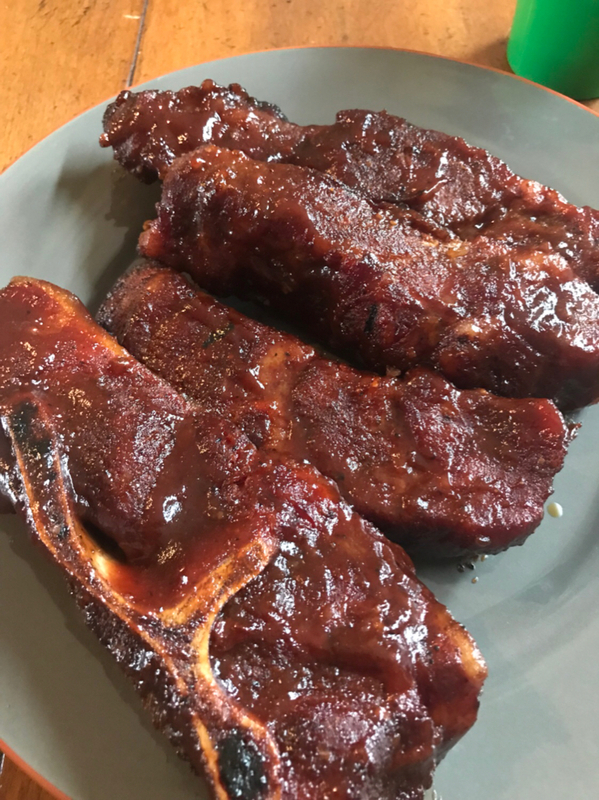 Country style pork ribs.